​Dr Susan Sunwoo is a female general practitioner at Ashford Avenue Family Practice, attending to the health of patients from the Milperra and Bankstown areas. 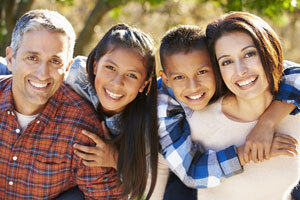 At our family practice, we know how important it is for you to feel comfortable with your doctor. If you would prefer your appointment to be with a female doctor, you’ll be reassured to know Dr Sunwoo is available to offer her experience and advice on women’s and children’s health matters. Whether you’re trying to start a new family, or taking care of the one you have, you can rely on us for the healthcare services you need. From fertility advice and pregnancy planning, to post-natal and paediatric care, we care about your family like a local family doctor should. As a local family practice, we have the very special opportunity to grow alongside our patients, caring for children from the time they are born, through to schooling and beyond. Whether they need special care for illness, childhood vaccinations or just a regular check-up, your children are always welcome at Ashford Avenue Family Practice. Our doctors at Ashford Avenue Family Practice can provide advice on the most effective ways to manage your reproductive autonomy. Our GPs can help you identify the right type of contraception for your age, lifestyle, and body type. Both Dr Susan Sunwoo and Dr David Le are also qualified to insert and remove the contraceptive implant on site. Our doctors can also help you avoid, detect, treat and manage sexually transmitted infections (STIs). As some STIs do not display any symptoms, it’s advisable for sexually active patients to have regular checkups. Our friendly doctors can give advice and counselling in regards to sexually-transmitted diseases and STI screening, and provide the necessary treatment if required. We are proud to provide accessible, affordable women’s medical services and health checks to Milperra and the greater Bankstown area. We operate six days a week, 8:30am-5pm Monday to Friday, 8:30am to 12pm on Saturdays and are open to new patients, walk-ins and appointments. ​If talking to a friendly, experienced female doctor is your priority, make an appointment by phoning (02) 9774 3388 and requesting Dr Susan Sunwoo. Alternatively, you can book an appointment online on our bookings page or via the HotDoc App on your smartphone.